An outdoor elevator is a big deal, period. 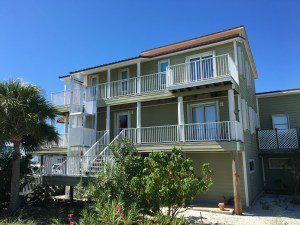 Necessity, convenience, comfort and safety have created a huge marketplace in areas like Oak Island, Marathon, Nags Head, Myrtle Beach, New Orleans, and many more booming coastal communities not only throughout the US but the entire world as a whole. Let’s face it, living near the beach is just an awesome thing! 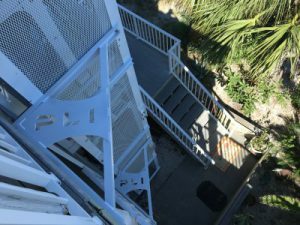 Due to recent catastrophic storms and changing regulations, new coastal homes must be elevated, sometimes as high as 14ft, and that’s just to the “first floor”. This is where things can get a little, “shaky”. No pun intended, but it literally is what happens. Many local medical equipment companies have been installing wheelchair lifts (porch lifts, vertical platform lifts) for wheelchair users for years. Those porches are typically no more than 4 or 5 ft high, if that. The travel distance is minimal and the need for a wheelchair lift made users tolerant to rough, noisy rides. Understandably, a natural question would be, can that lift go up 10 feet? The easy answer was yes. 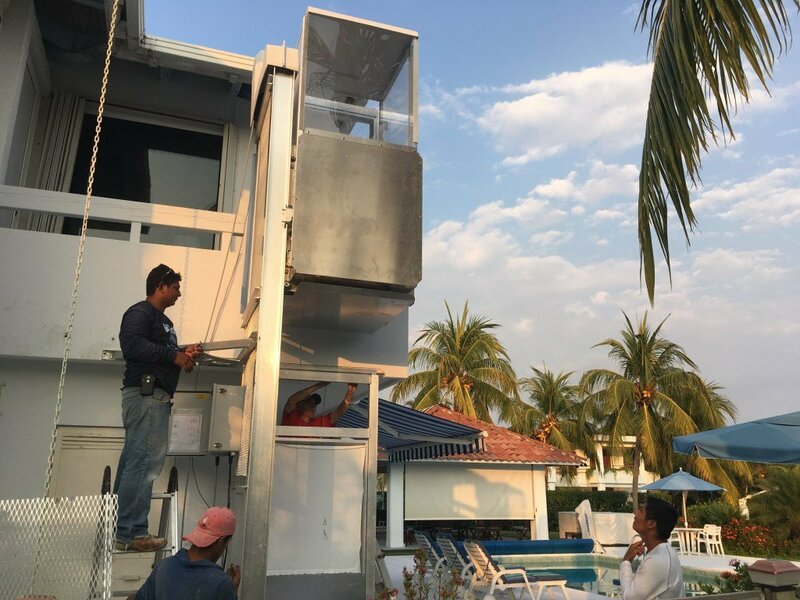 Despite the honesty in that answer, many customers are “under-served” when they have a porch lift installed where an outdoor elevator is the actual product that customer needs. So, what does all of this mean? 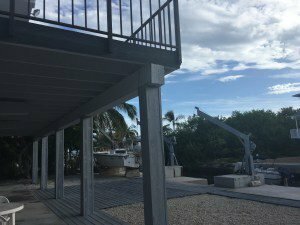 As homes are being built on pilings, the first floor is actually located on the second level of the home. If you have 2 levels of living space then your home has 3 levels to it. 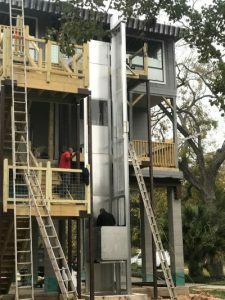 That means that if you do not have a hoist-way built into the plans in your home then a heavy/expensive construction project may be on your hands, not to mention an intrusion into the living space you have become accustomed to have. This is where the outdoor elevator is the perfect solution. The ODE-500 handles the 3 level home with ease. 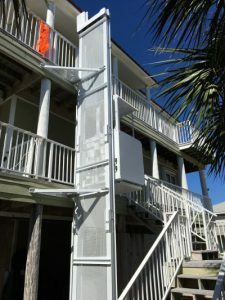 Let’s face it, if you are traveling 20 ft in the air, you wont feel safe if your porch lift is loud and shaky. No thanks, I’ll take the stairs! On the other hand, the ODE-500 boasts a 180MPH wind rating and is best known its smooth and quite ride. The “6 Cylinder” ride of the outdoor lifts! I’ve added some images below from a couple of recent 3 stop outdoor elevator projects. They were in different locations; Pensacola, Galveston, and Oak Island. 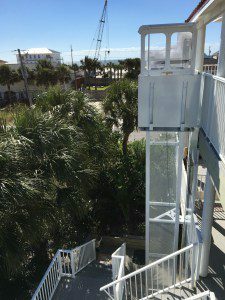 Outdoor Elevator or Beach Lift, what’s the difference? I don’t care if I ever go up and down those stairs again!